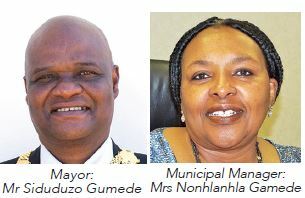 The iLembe District Municipality consists of the following local municipalities: KwaDukuza, Mandeni, Maphumulo and Ndwedwe. 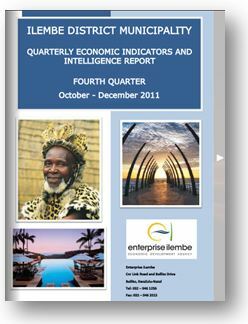 iLembe District is set to become a major economic hub in the province. The N2 national highway running from Durban up through Richards Bay to Swaziland and Mozambique dissects the district. The King Shaka International Airport and developments at the Dube TradePort are pivotal to the District's future success. The diverse culture of this region has been shaped by people from three continents; Africa, India, and Europe, offering a unique vibrancy to the municipality. iLembe District is committed to people's development, building unity and a sense of belonging across racial and cultural barriers. The District is made up of 45 Traditional Authorities (TA) areas where settlement is controlled according to a traditional land tenure system. 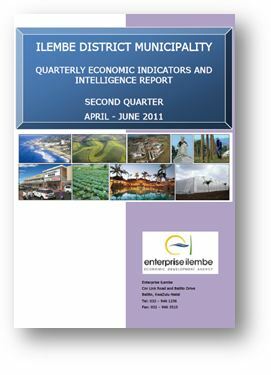 These TA areas cover approximately 63% of the total area of iLembe; where the Ingonyama Trust own the majority of the land within the municipality of Maphumulo, the lower reaches of Ndwedwe (69%) and coastal and inland reaches of Mandeni (49%). The commercial farming areas of KwaDukuza, Mandeni and Ndwedwe (31% of the iLembe District) are mainly under privately owned sugar cane. 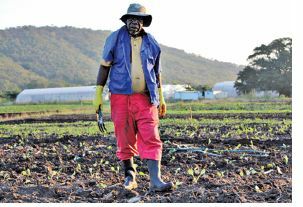 The northern areas of Ndwedwe, the central corridor of Mandeni and KwaDukuza Municipality are the commercial farming hubs of the District, which include forestry, fruit and vegetable farming, tunnel farming, and fresh cut flowers. The KwaDukuza Municipality's Dolphin Coast has a number of well established and popular tourism and residential developments. Ballito caters primarily for the higher-income earners. Other settlements providing limited commercial facilities include Darnall, Zinkwazi and Shaka's Kraal. The town of KwaDukuza (Stanger) takes its name from its early history, when it was the site of Dukuza, a settlement of King Shaka. Mandeni Local Municipality is located midway between Durban and Richards Bay, and lies on the development corridor on the north coast between these two major port cities in KwaZulu-Natal. The municipality is strategically located to provide service and derive economic benefits from this development corridor. Industrial development is concentrated in KwaDukuza, iSithebe and Darnall, most notably the Gledhow and Darnall sugar milling operations at Stanger and the Sappi Paper mills at Mandeni. The most distinguishable characteristic of the Maphumulo Local Municipality is its predominantly rural character. Sugar cane cultivation is the main economic activity and land use in the municipality. Subsistence agricultural activities in the form of small cropping areas attached to traditional family units dominate land usage. 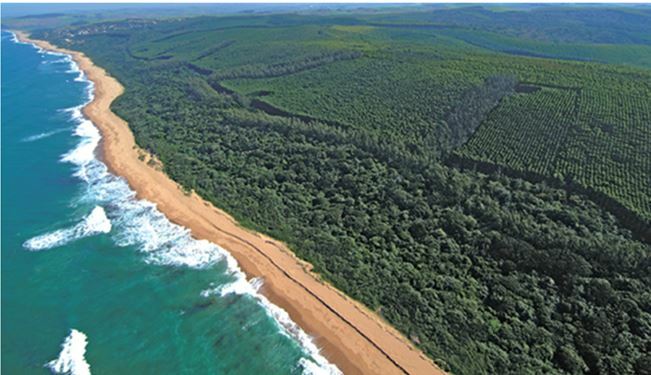 Ndwedwe Local Municipality lies parallel with, and approximately 20km inland from, the KwaZulu-Natal coast. 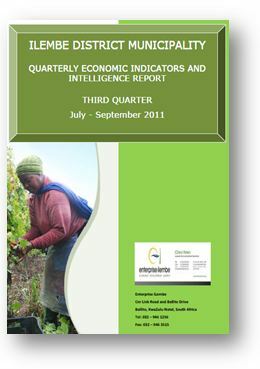 The municipality consists mainly of poor black communities whose livelihood depends on subsistence farming. Village centres such as Maphumulo and Ndwedwe in the West, Nyoni and Mbizimbelwa in the North, comprise of commercial and service development in the rural areas. They largely exist in association with a magistrate's court, clinic, pension pay point, health, education and welfare office or similar state service. Wholesale commercial activities have expanded and these villages have emerged as supply centres and transportation hubs to the remote rural areas of iLembe. Despite its strategic location, iLembe faces numerous economic challenges such as the high levels of poverty in the rural inland areas, which contrasts with rapid development along its coastal regions. The District has been proactive in developing Enterprise iLembe, a broad based institution aimed at facilitating local economic development in response to its challenges of high rates of unemployment and correspondingly high levels of poverty.